The Austin Children’s Shelter is pleased to announce the “Ultimate” Formula One™ Grand Prix Package available through live auction this Friday, March 23rd at the Austin Fashion for Compassion Event. This exclusive VIP access package includes; Driver Meet and Greet with 2012 favorites Michael Schumacher (Mercedes/AMG F1 team) and Mark Webber (Red Bull F1 team), 2 Exclusive Paddock Passes, F1 VIP Hospitality with 2 reserved seats, round-trip airfare for two, and 3 nights luxury hotel accommodations for two for the Grand Prix Du Canada race, June 8-10, 2012 in Montréal, QC, Canada . This rare, and highly exclusive Formula One package is truly a once in a lifetime experience valued at over $125,000, and made available through the generosity of Aryn Hellmund and her dedication to the Austin Children’s Shelter. Meet and greet with seven-time world champion Michael Schumacher and Red Bull star Mark Webber, including a photo opportunity and a quick tour of their race cars. This rare, and highly exclusive Formula One package is truly a once in a lifetime experience valued at over $125,000, and made available through the generosity of Aryn Hellmund and her dedication to the Austin Children’s Shelter. The Austin Children’s Shelter is pleased to announce the “Ultimate” Formula One™ Grand Prix Package available through live auction this Friday, March 23rd at the Austin Fashion for Compassion Event. This exclusive VIP access package includes; Driver Meet and Greet with 2012 favorites Michael Schumacher (Mercedes/AMG F1 team) and Mark Webber (Red Bull F1 team), 2 Exclusive Paddock Passes, F1 VIP Hospitality with 2 reserved seats, round-trip airfare for two, and 3 nights luxury hotel accommodations for two for the Grand Prix Du Canada race, June 8-10, 2012 in Montréal, QC, Canada. This rare, and highly exclusive Formula One package is truly a once in a lifetime experience valued at over $125,000, and made available through the generosity of Aryn Hellmund and her dedication to the Austin Children’s Shelter. Interested parties are encouraged to attend the “Fashion for Compassion” event this Friday evening, March 23rd at Saks Fifth Avenue (at the Arboretum) to participate in the live auction, or contact the Austin Children’s Shelter to obtain a bid by Proxy by providing personal information and maximum bid limits. To submit a bid, please contact Mia Washington, mia(at)austinchildrenshelter.org or 512-927-4701. The driver "meet and greet" will include a rare private meeting and photo opportunity with Michael Schumacher and Mark Webber, as well as a quick tour of their race cars. 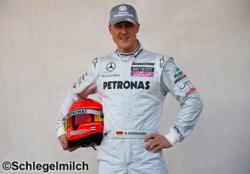 Michael Schumacher (Germany), driver for the Mercedes/AMG F1 team, is a seven-time Formula One World Champion, and is widely regarded as one of the greatest F1 drivers of all time. He holds many of the Formula's driver records including the most championships, race victories, fastest laps, pole positions, points scored and most races won in a single season – 13 in 2004. According to the official Formula One website, he is "statistically the greatest driver the sport has ever seen.” Mark Webber (Australia), driver for the Red Bull F1 team, is a reigning F1 championship team driver, 7-time Formula One race winner (including the 2010 Monaco Grand Prix), and a 2012 World Championship favorite. The luxury hotel is ideally located so guests may enjoy the best of Montréal, and will also host top Formula One personnel. The surrounding neighborhood of Old Montreal abounds with magnificent architecture, art galleries, cafés, boutiques and some of the city’s finest restaurants. The Old Port, with its IMAX theatre and river cruises, is steps away from the Palais des Congrès convention center, Multimedia City and downtown Montreal. 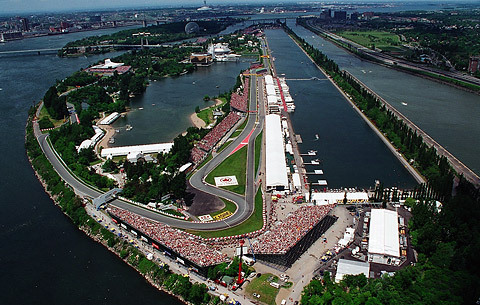 The Formula One Grand Prix Du Canada is the longest running Grand Prix held outside of Europe, running over 30 editions in Montréal. It is one of the most sought-after races to attend on the annual calendar, and draws some of the largest crowds in the circuit. Scheduled for June 8-10, 2012 in Montréal, QC, Canada, this package will provide all the romance of Formula One in an unforgettable way. This package represents a once in a lifetime opportunity for any true Formula One racing fan, as well as the opportunity to help Austin-area children. Austin Children’s Shelter protects and heals children, young adults and families in need. Established in 1984, ACS provides emergency shelter and long-term residential care for children and youth who have experienced abuse and neglect or are at extreme risk. Through a variety of critical services designed to reduce emotional trauma, a teen mother program and services for youth aging out of foster care, ACS can have a sustaining, positive effect on young lives. To learn more about the Shelter, visit the website at http://www.austinchildrenshelter.org.